Check Kogi State Polytechnic ND Admission List. The 2018/2019 ND Admission list can now be accessed online. Kindly use any of the links below to check the admission status. • Candidates are required to authenticate the printed Admission Letter at the Admission Office on the main campus, Lokoja. • Candidates are to also report to their various departments before proceeding with payments and registrations. The management of the Kaduna Polytechnic (KADPOLY) has released the National Diploma (ND) full-time admission list for the 2018/2019 academic session. 3. Finally, click on the ‘Check’ button to access your admission status. Federal Polytechnic Idah ND admission list has been successfully uploaded online. How To Check Federal Polytechnic Idah Admission List. Finally, click on ‘Check Admission Status‘ to access your Federal Poly Idah admission status. This is to inform all the candidates who applied for admission into the Ebonyi State University (EBSU) for the 2018/2019 academic session but didn’t have their names included in the EBSU 1st Admission list that the supplementary admission list is out. 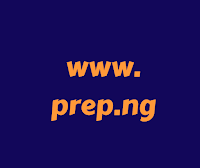 How to Check the EBSU Supplementary Admission List. Choose programme type i.e, JAMB or Direct Entry. Choose your search pattern i.e, by JAMB Registration Number or the Name. Your EBSU admission status will be displayed to you as soon as you're done with it. This is to inform all the candidates who participated in the Federal Polytechnic Nasarawa post-UTME screening exercise that the managemental body of the institution has released the names of admitted candidates. Federal Polytechnic Nasarawa ND admission list contains the names of candidates offered provisional admission into the polytechnic's various National Diploma (ND) Full-Time programmes for the 2018/2019 academic session. According to the publication released by the management of the Federal Polytechnic Nasarawa, candidates are advised to check their admission status on the JAMB portal and indicate their acceptance/rejection of the offer, for further action. The candidates below are hereby offered provisional admission in the departments in which their names have been indicated. They are to proceed to pay acceptance fee and register within the specified period. ALL CANDIDATES OFFERED ADMISSION IN THE 2018/2019 SESSION FOR PART TIME NATIONAL DIPLOMA (ND) PROGRAMMES ARE TO PAY AN ACCEPTANCE FEE OF TWENTY THREE THOUSAND SEVEN HUNDRED NAIRA (N23,700.00) ONLY (THIS PAYMENT INCLUDES ALL BANK CHARGES). Please note that the deadline for the payment of acceptance fee for THE ND PART TIME SECOND LIST will be Thursday, October 25, 2018. Check Federal Polytechnic Ilaro ND Part-Time Admission List. The under-listed candidates have been offered Provisional Admission into Federal Polytechnic, Ilaro (ILAROPOLY) ND part-time programmes for the 2018/2019 Academic Session. The management of Federal University, Gusua (FUGUS) wishes to inform all the candidates that participated in the post UTME screening exercise that they can now check their admission status, as the management of the institution has released the admission list for the 2018/2019 academic session. How to Check FUGUS Admission List. Finally, click on ‘Check Admission Status‘ to access your FUGUS admission status.